One of the most talked-about features of the Xbox One console is its ability to play games made for Microsoft’s earlier generation console, the Xbox 360. This has been a great feature as it has allowed gamers to replay golden oldies like Red Dead Redemption and Mass Effect. And Microsoft quietly expanded the Xbox One’s backwards compatibility feature earlier this year and the console is now capable of running some original Xbox games such as Knights of the Old Republic and Psychonauts. And without further ado, here follows a list of the top 5 original Xbox games now playable on the Xbox One (and Xbox One X too). Back in 2003, Bioware shook the foundations of the RPG genre with the release of Star Wars: Knights of the Old Republic (KOTOR for short), a role-playing game set in George Lucas’ Star Wars universe, which had a great story and a brilliant cast of characters. And it sure is hard to forget characters like Bastilla Shan (the first female Jedi in a major Star Wars game) and baddie Darth Malak, while developer Bioware poured all its design savvy into the game offering some superbly entertaining quests and a multitude of worlds to explore, including evocative locations like a water world and a massive starship. 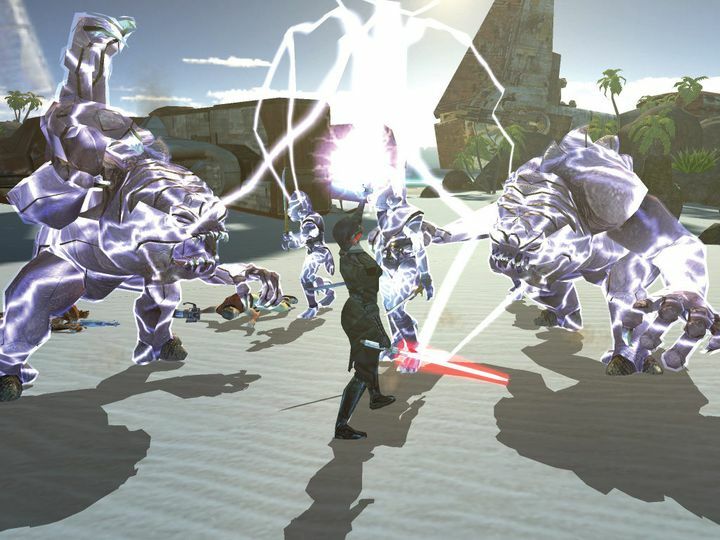 Plus, as you would expect from any Star Wars game worth its salt, there are plenty of lightsabre battles and laser firefights to enjoy, which are still exciting despite the fact the game features turn-based combat like other early Bioware releases such as Baldur’s Gate 2. It’s a good thing, then, that this Star Wars RPG is now playable on the Xbox One, allowing gamers to relive a classic of the Xbox generation or perhaps discover for the first time what is arguably the best Star Wars game we have seen to date. Where will the next Assassin’s Creed game be set?